Image cropping is a usefull feature in web application that allows user to crop an image on a web page and save it for later use. This feature is commonly used in user’s preferences tool for creating a profile image. User uploads an image from his local hardrive and then directly crop his desired part for used as his profile image without using an image editing software. Extract scriptaculous-js-1.8.3.zip and copy scriptaculous.js, builder.js, effect.js and dragdrop.js from the extracted files into your web application directory. Extract jsCropperUI-1.2.1.zip and copy cropper.js, marqueeHoriz.gif, marqueeVert.gif, cropper.css from the extracted files into your web application directory ( must reside in the same directory). Include Prototype.js, scriptaculous.js and cropper.js in the HEAD section of your HTML file. Line 06: Instantiate Image Cropper class. Line 09: minWidth, is the minimum width for selected area in pixels. Line 10: minHeight, is the minimum height for selected area in pixels. Line 11: ratioDim, is the pixel dimensions to apply as a restrictive ratio, with properties x & y. Line 12: displayOnInit, whether display the selected area on initialisation. If set to true, minWidth and minHeight or ratioDim must be provided. coords, is the coordinates of selected area with properties x1, y1, x2, y2. dimensions , is the dimensions of selected area with properties width and height. On example above (Line 21), coordinates and dimensions are stored in hidden elements and will be sent to server side script (saveCrop.php) using HTTP POST method for later processing . Line 15: previewWrap, is the id of container for image crop preview. Line 21: callback function, as set on onEndCrop option (Line 13). Line 33: image to be cropped, it’s id must match the id set on Line 07. Line 35: div container for image crop preview. Line 37-40: Hidden elements to store coordinates and dimensions of selected area. For using Image Cropper without dynamic preview, change the class from Cropper.ImgWithPreview to Cropper.Img and remove the previewWrap option. On server side, image is processed using PHP GD image functions, which required GD library installed. Line 02-05: get coordinates and dimensions sent from client. 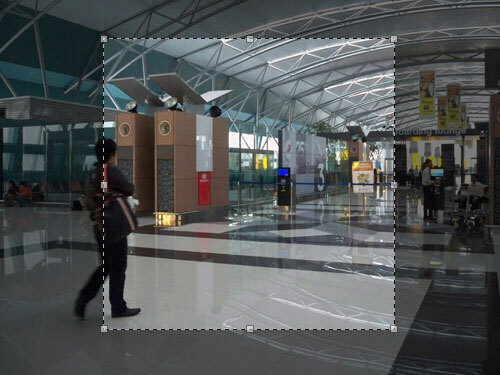 Line 10: copy selected area from source image into new image using coordinates and dimensions sent from client. Line 12: Output the new cropped image into a file. Shouldn’t be included some where? This is the best! Thanks man. If i want to implement it in server side with image preview what should i do? thanks you very much for the script. Is nice and is very easy to modify, in fact, I made it work for .png and .gif images too. I don’t like this cropper. I LOVE it !!! Finally! A simple and great tutorial. So much trash in the net that makes us waste countless time looking for what we need. This one did the trick! Thank you. how would one implement this using dynamic images? Great tutotial. i love it. But, its not work on I.E. This s awesome. But is there a way to retain the image size after cropping insteat of having a standard size. Why it doesn’t work on internet explorer. ? It’s very very good tutorial and it works fine…..this is what I was looking. not working in IE why??????? After server side saving corp image.